Urbandillo is a company that makes bags that can shrink down. Where does the name come from? The name and the brand mark was inspired by the armadillo. The armadillo has the ability to compact it's body into a ball shape, like our products. 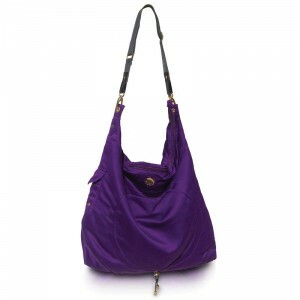 For my review, I was sent the classic hobo bag in purple. I love the bag that I was sent! It retails for $69.00 and also comes in black. It is good for taking to the gym, an overnight getaway, or even on a plane ride if you want to compact a bag. It is amazing how much stuff this bag can fit. I will use it mostly for taking to my parents house for a weekend. When I chose this bag, the company told me this: "I think you will be amazed at how much stuff you can fit in it, plus it has pockets galore including an insulated pocket on the inside to store a curling iron/flat iron." Man were they right! The bag is spacious and I love all of the pockets. This bag is featured in the September issue of Shape magazine. Check out Urbandillo's bags for cute Fall bags! The giveaway will be for a $60 gift certificate to Urbandillo to one lucky reader of The Nutritionist Reviews. The giveaway is open until Midnight on Tuesday September 13th. Winner will be chosen on Wednesday September 14th using Random.org. The winner will have 48 hours to respond or a new winner will be chosen. Visit the Urbandillo website and let me know what your favorite bag is. -Like Urbandillo on Facebook (1 entry). -Write on the Urbandillo Facebook page that The Nutritionist Reviews sent you (2 entries). -Follow Urbandillo on Twitter (1 entry). -Sign up for SocialSpark via this link (5 entries). I like the Classic Pak in purple. I like the classic hobo the best. I also entered your Cutco knife giveaway. My favorite bag is the classic tote in black! I liked Urbandillo on Facebook! 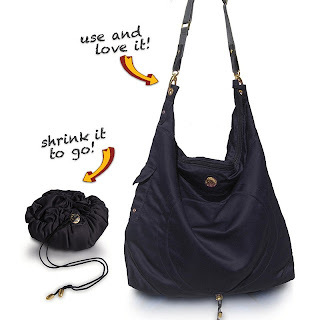 I like the classic hobo bag the best! I like Urbandillo on FB as Anne Loyd. I let Urbandillo know that you sent me their way on their facebook wall. I follow Veronica James on Twitter as Anneliz702. I posted on the Urbandillo facebook, join newsletter and liked site. I am in love with the Classic Hobo! The water bottle pocket is what sold me! vegangal 72 at hotmail dot com! I like the purple classic hobo purse. I follow urbandillo on twitter as kmayans. I love the Classic Hobo bag. I like the Classic Tote in black. Thank you! I like the Classic Hobo. I Like Urbandillo on Facebook as Kayce Crews.